A lovely, really comfy skirt, the material is so soft and the lining is an extra bonus. The Paisley pattern is delightful! 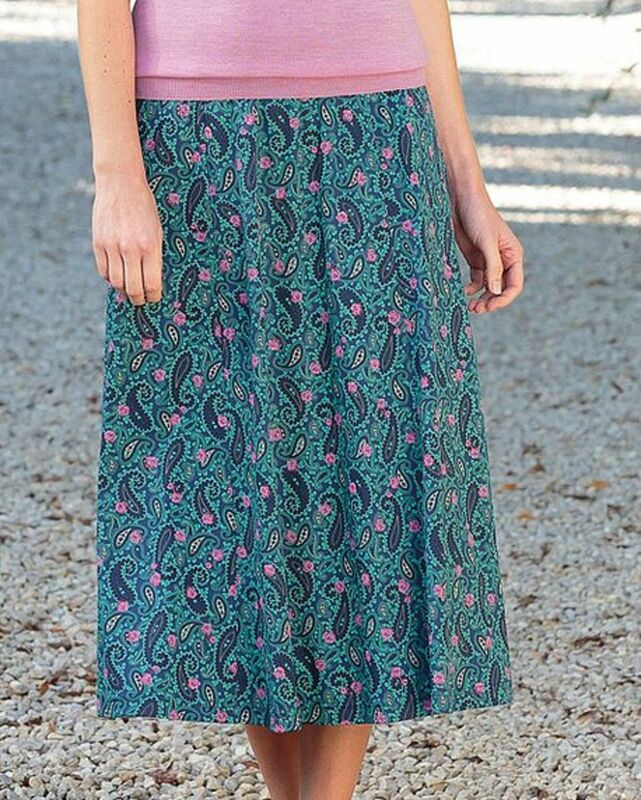 "A lovely, really comfy skirt, the material is so soft and the lining i ..."
Ladies fully lined, pull on skirt. Supersoft and comfortable pure Austrian silky cotton jersey with exceptional drape. Vibrant paisley print in jade and dusky pink on a french navy base. Six gore style with back waist elastication for total comfort and side seam pockets.